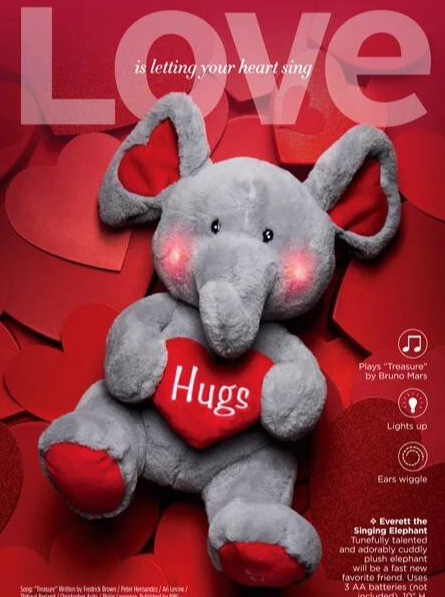 Valentine’s Day (and everyday) we want to show how much we care and nothing says that as well as “Everett The Singing Elephant” .This little guy will wiggle his ears right into everyone’s heart in minutes. He lights up and plays “Treasure” by Bruno Mars. He’s not just adorable but talented as well. He’s 10″ high and uses 3 AA batteries (not included). 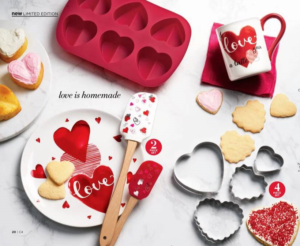 And of course, Nothing says Loving like something from the oven and this heart shaped cupcake pan or heart shaped cookie cutters are sure to bring smiles to all your family and friends. Mix them up with the spatula, serve on the heart decorated cookie plate and accompany them with a mug of love! Heart-Shaped cookies cutters come in a set of 4 graduating cookies sizes. Stainless steel, dishwasher safe. Imported $5.99 the set. 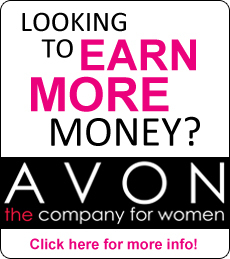 From P.J’s for kids to cozy socks or slippers for the bigger people in your life, Avon has what you need for everyone. Be sure to check out the brochure for all the great deals!